The European Union settled Tuesday on an anti-corruption agreement to force large mining companies to publicly announce payments made to governments where they operate, reports France 24. 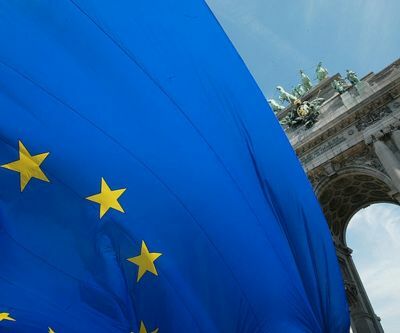 The markets commissioner for the EU said in written statement the extractive sector is "far too often shrouded in secrecy" and the new legislation would "help fight tax evasion and corruption." The accord focuses on companies with profits of at least 40 million euros ($52.5 million), total assets worth 20 million euros or 250 employees. It covers disclosure requirements for the extractive industry, as well as primary forest loggers, and on simpler accounting requirements for small companies. Member EU states — 27 in total — must now approve the agreement. Citizens in resource-rich countries will be better informed about how much their governments are being paid by multinational corporations for oil and gas, mineral deposits and forests, the markets commissioner said. Oxfam, an international non-governmental organization for community development, said in a written statement it welcomed the accord. "It's excellent news that the EU is moving towards a law that will help ordinary people harness the natural resource wealth of their countries to be lifted out of poverty," it said, adding the construction and telecommunications sectors should also be included. "Strikingly, poor countries lose more to tax dodging than they receive in aid each year."